Photographing the dead was a rather morbid Victorian era tradition that endured into the 20th Century. 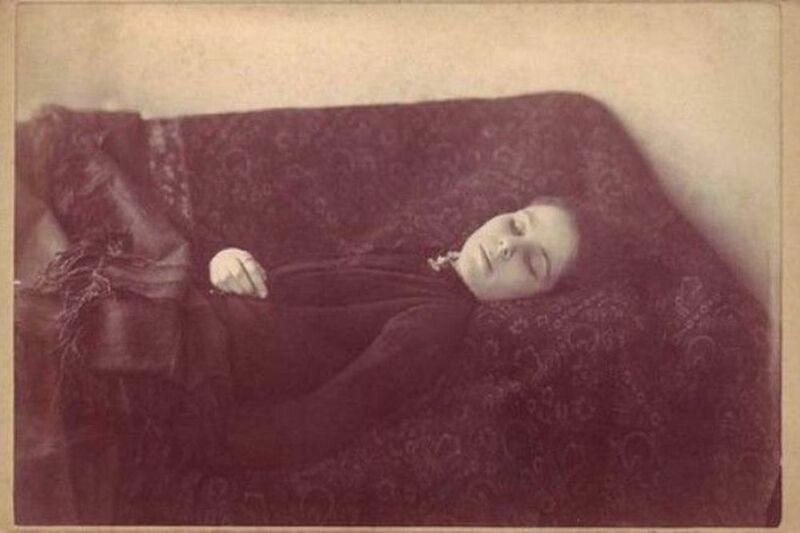 A particular post-mortem pic that often makes the rounds in these circles is of a Romania woman who died in 1909: Ioana Constantinescu, better known to connoisseurs of all things creepy and bizarre as Leona the Bloodthirster. The suspected witch was beaten to within an inch of her life by an angry mob before committing ritual suicide by consuming goblet after goblet of her own blood. Loana the Bloodthirster after her death in 1909. Allegedly she died from drinking her own blood. According to The 13th Floor, the most detailed accounts available identify the woman as Loana (or Ioana) Constantinescu, a 27-year-old woman from the Romanian city of Timisoara. Loana is rumored to have been a devout practitioner of Zoroastrianism — one of the world’s oldest organized religions, originating in ancient Persia and still practiced by millions today, though mostly in East Asia. In Western Europe, however, Zoroastrianism is far less common. Skeptics are also quick to point out that, whoever the woman in the photo actual is, she doesn’t look like someone who recently received a serious beat-down. Still, the infamous picture of Leona the Bloodthirster, and her chilling missive, continues to captivate. The mental imagery conjured of a woman imbibing on glasses of her own blood seems tailor-made for Hollywood horror. At this point, it hardly matters if Ioana Constantinescu was an actual person or just another tasty bit of creepypasta; either way, she’s a staple of internet’s sinister side—a specter likely to haunt the web for generations to come.